Well this is officially my SAD season. That is my Seasonal Alcoholic Disorder. It is Friday night December 17 and I am on vacation until January 4th so let the drinking begin. 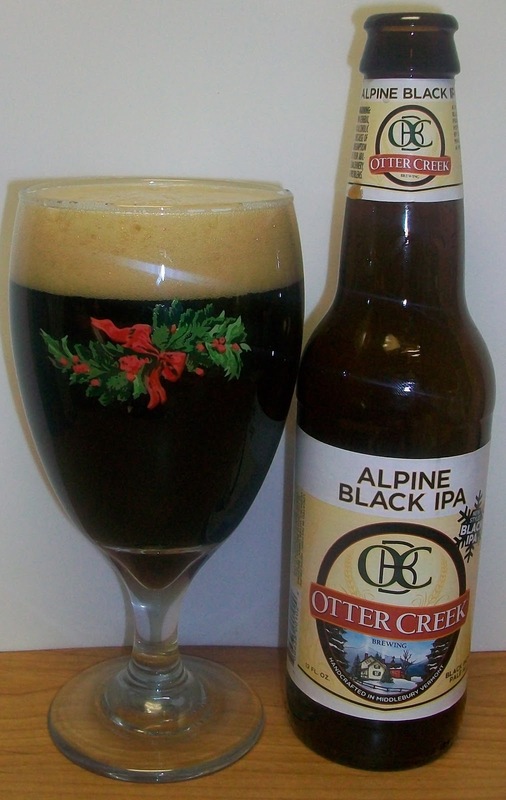 And what a better winter seasonal to start off with but this new Black IPA. I had a taste of this beer at the last Christmas Beer tasting at State Line Liquors and thought it was pretty good, although it got lost with all the other beers that night. I’m so confident that I’m going to like this I bought a 6pack, so let the SAD beer reviews begin. 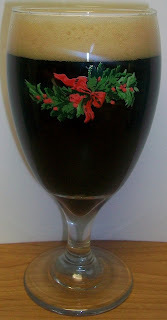 The beer pours a dark brown almost completely opaque with just a hint of deep ruby hues showing on the edge of the glass and a fairly rich tan head. The nose is really unique and interesting; there are dark roasted malt aromas similar to a robust porter or stout and then the most interesting pine and citrus hop aromas. My senses are in a tailspin already just from this nose. Wow, no I really mean WOW! This is the most unique beer that I’ve had in a long time. The experience starts out with a dark malt sweetness upfront on the tip of the tongue but that does not last long. Immediately following that is a building hop bitterness along with a unique malt smoothness over the tongue through the middle of the sip. It is a strange sensation to have this bittering hops and malt smoothness at the some time. The back-end is a little intense with all of these rich flavors plus a nice carbonation release during the swallow. The finish is amazing with rich dark roasted malt flavors and the pine hop bitterness of an American IPA. These are somewhat conflicting experiences but they really work well together in this beer. These conflicting flavors also carry into the final aftertaste. I’m afraid that in trying to explain the intensity of flavors in this beer that it may sound like I’m not enjoying it. I have to tell you that this is fantastic. Of course it’s not your everyday beer but it is something else. This is the first Black IPA that I’ve had and I love this new style. This is the first beer of my SAD season and I bought a 6 pack so I’m going to crack open another one while I work on some final thoughts about this fantastic beer. I’m not your typical hop head but this beer is amazing. This beer also just keeps getting better as it warms. The hop bitterness seems to subside but the rich malt flavors are becoming more pronounced. I am also surprised that this is only 6% ABV because there seems to be a real warming effect to this beer. I guess that’s just part of the robustness. Even though this is the first Black IPA that I’ve had I’m still giving this beer an A. This really is a creative twist in beer styles. The dark malts with all the notes of caramel, chocolate, nuts and dark fruit combined perfectly with a complex hop bitterness along with citrus and spicy notes to make this beer a delightful and robust winter seasonal. 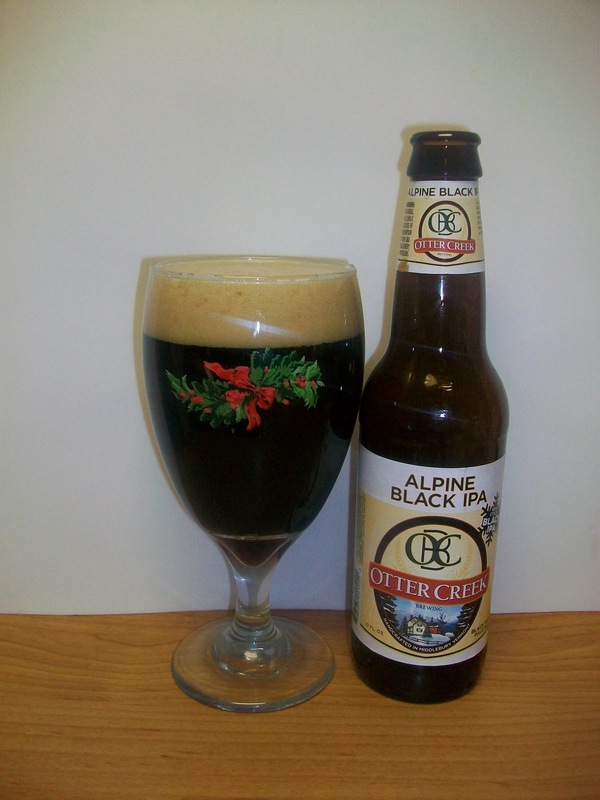 Glad you enjoyed the Alpine Black IPA! Enjoy it while you can, because this beer will be gone in February until next fall. Cheers! Thanks for posting and thank you for this great beer. I have been sharing it this Holiday Season with everyone I can. I'll have to stick a few in the cellar to hold me over this winter.